The following is chapter four in our series on the Teaching of Lord Kapila entitled “Approaching a Bona Fide Guru”. This is a nice chapter for anyone who is serious about receiving spiritual knowledge, and interested to know the process. We are fortunate in this age to have the books of His Divine Grace A. C. Bhaktivedanta Swami Prabhupada to guide us. Human knowledge was originally preserved through oral tradition, but today we have this knowledge preserved in the books of His Divine Grace. …A bona fide guru does not impart some self-styled, concocted knowledge; his knowledge is standard and received from the paramparā system. 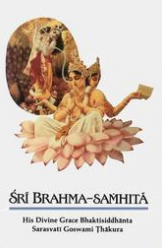 He is also firmly fixed in the service of the Supreme Personality of Godhead (brahma-niṣṭham). These are his two qualifications: he must have heard the Vedic knowledge through the disciplic succession, and he must be established in service to the Supreme Lord. …There are millions and trillions of living entities everywhere, and they are engaged by māyā in suffering and enjoying the results of their fruitive activity life after life. This is the position of the materially conditioned living entities. Out of many of these living entities, if one is actually fortunate (bhāgyavān), he comes in contact with a bona fide spiritual master by Kṛṣṇa’s mercy. brahmāṇḍa bhramite—wandering in this universe; kona—some; bhāgyavān—most fortunate; jīva—living being; guru—of the spiritual master; kṛṣṇa—of Kṛṣṇa; prasāde—by the mercy; pāya—gets; bhakti-latā—of the creeper of devotional service; bīja—the seed. 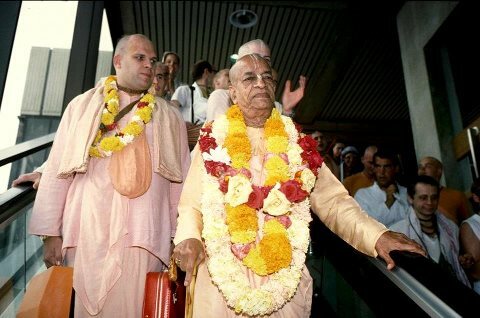 This is an older post that originally surfaced on the Sampradaya Sun some years ago, however, for those of you who have not seen this recorded interview, or those of you who like to hear and remember some of the truth that transpired after the departure of Srila Prabhupada in 1977, we again share this important recollection from a senior member of The Hare Krishna Movement. Dear Prabhus: Gurukrpa is here with me and on his behalf I am writing here. 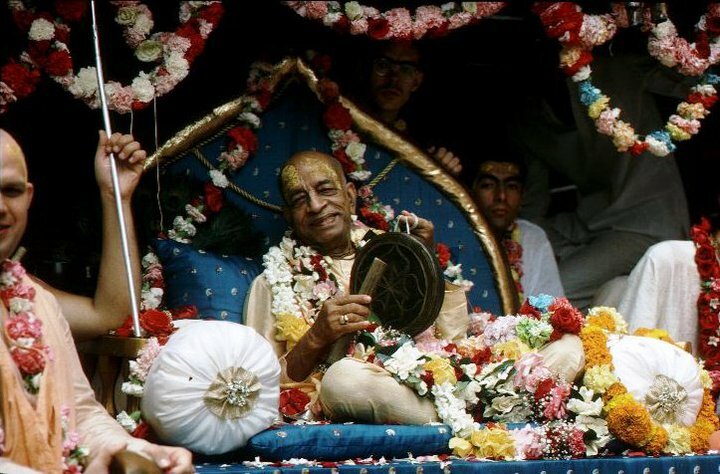 Question: What happened the final months of Srila Prabhupada’s appearance in connection with the process of initiating new devotees? Gurukrpa: Nothing happened. 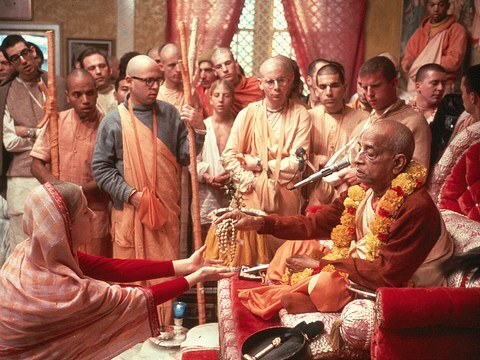 In the beginning Srila Prabhupada did the diksa, the yajna and the name giving. 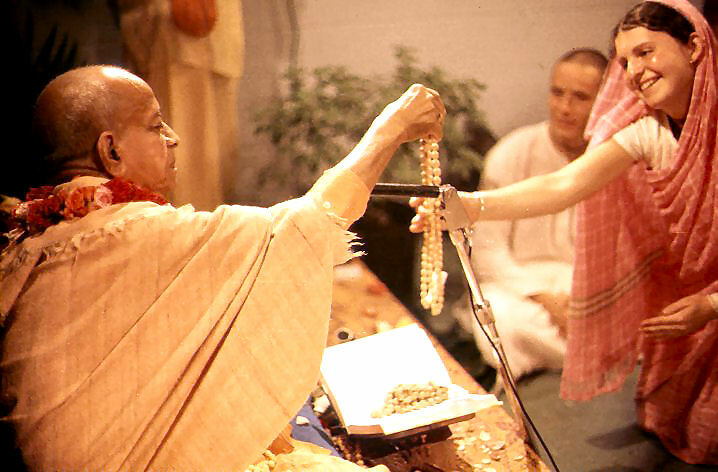 As the numbers increased, he authorized GBC, and senior sannyasis to pick names and chant on the beads, etc. 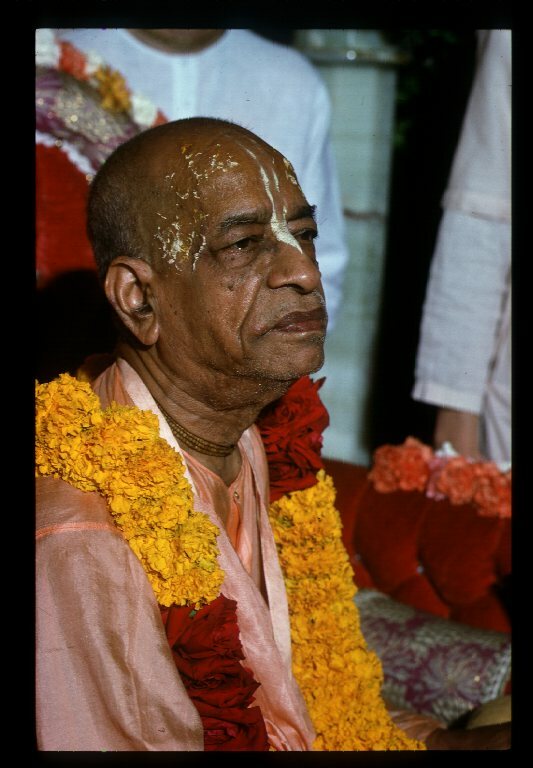 In 1977 during the months of May, June, July 1977 I was in Vrindaban with Srila Prabhupada, giving him his massage in his bed between 1 AM and mangala aratik. During the day, many letters would arrive. 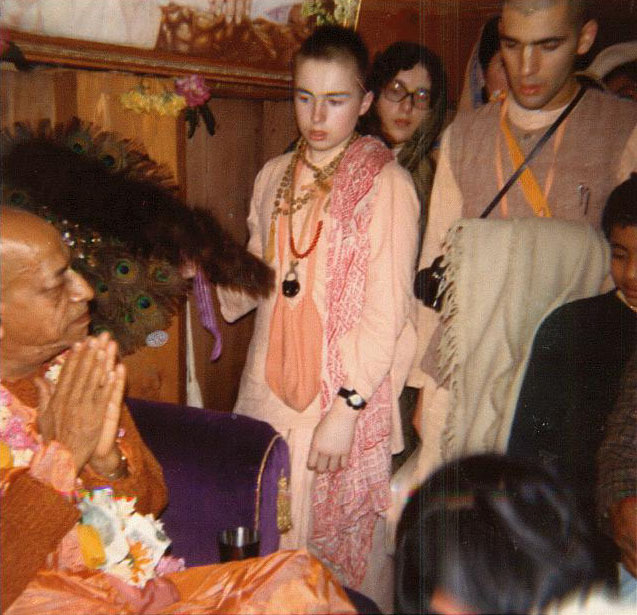 Satsvarupa Swami was the secretary and we decided that only letters that would give joy to Srila Prabhupada would be read. Like numbers of books sold, etc. 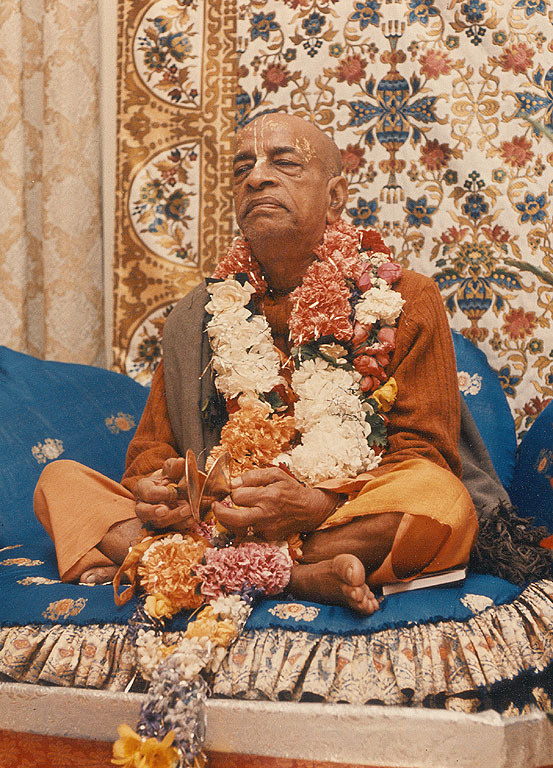 A maximum of five letters daily were read to Srila Prabhupada. Up until this time it was a very simple matter that we were doing the initiations, but we first had to ask permission. 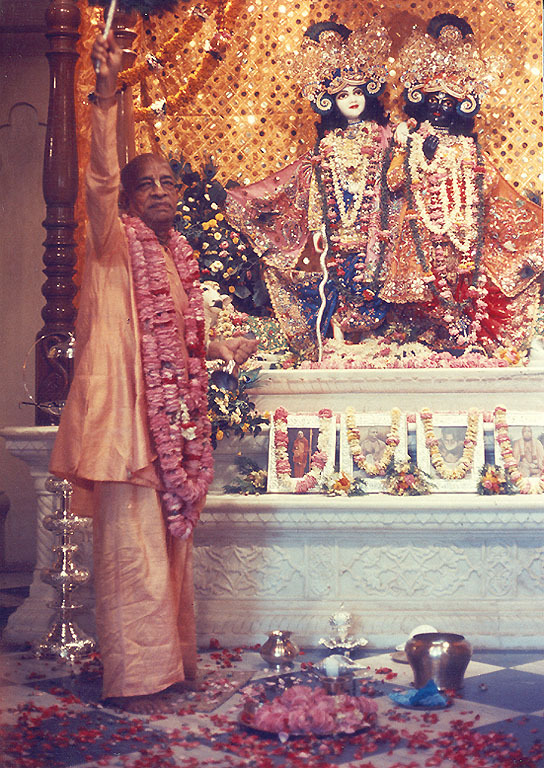 Srila Prabhupada NEVER refused any recommendation from his senior men. And personally, I would sometimes argue with some GBC that they were giving it too easily. 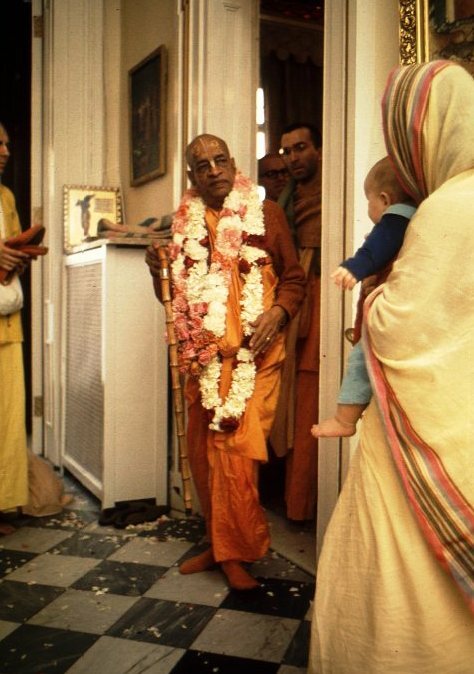 At this meeting, Srila Prabhupada basically said, “From here on, if you feel they are ready, then you may give the initiation on my behalf.” I understood this for what it was, simply extending the authority a little further than it had been. Tamal Krsna Swami, began to say, “But who will do it?. 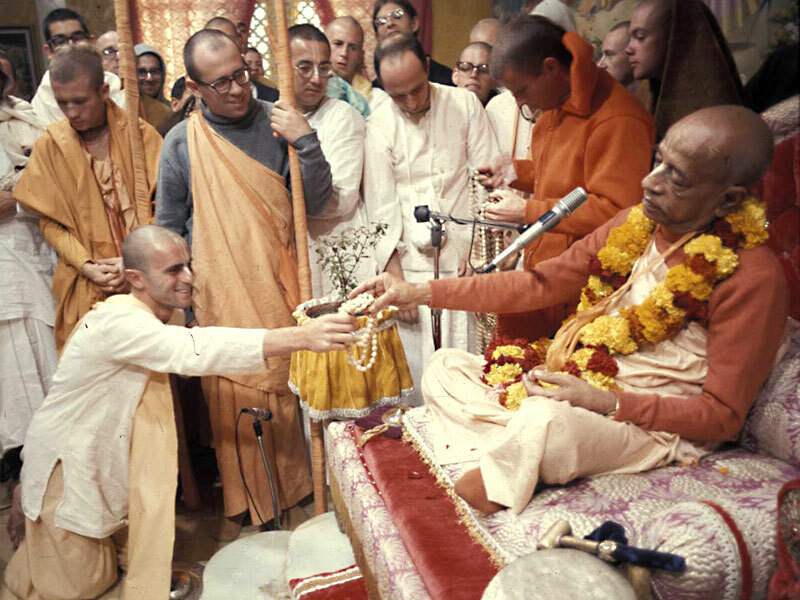 Which devotees will do this?” Srila Prabhupada said, “The nearest one will do it. 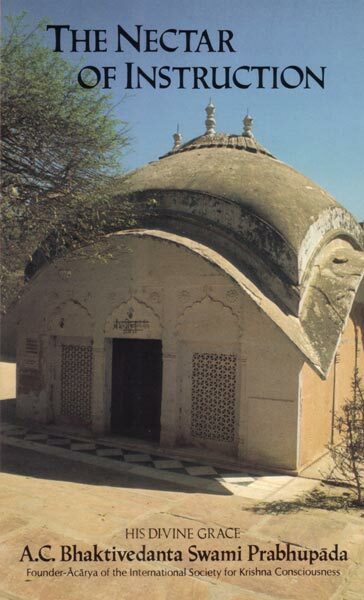 Whoever is closest.” Tamal said, “Can Bhavananda do? Can Jayapataka do?” Thus these eleven names came out. 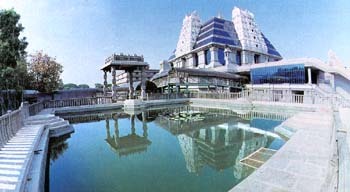 The Supreme Court of India today dismissed an appeal filed by ISKCON Mumbai, seeking to initiate contempt of court proceedings against Sri Madhu Pandit Dasa, President of ISKCON Bangalore. The Supreme Court Bench consisting of Honorable Justice HL Dattu and Honorable Justice Chandramouli KR Prasad today gave this judgment on the appeal filed by ISKCON Mumbai challenging the verdict of the High Court which had opined that no contempt was committed by Sri Madhu Pandit Dasa. While pronouncing the verdict one of the Honorable Judges said that Supreme Court is not a forum meant of settling scores and ISKCON Mumbai’s petition attempts to settle some scores with Madhu Pandit Dasa. 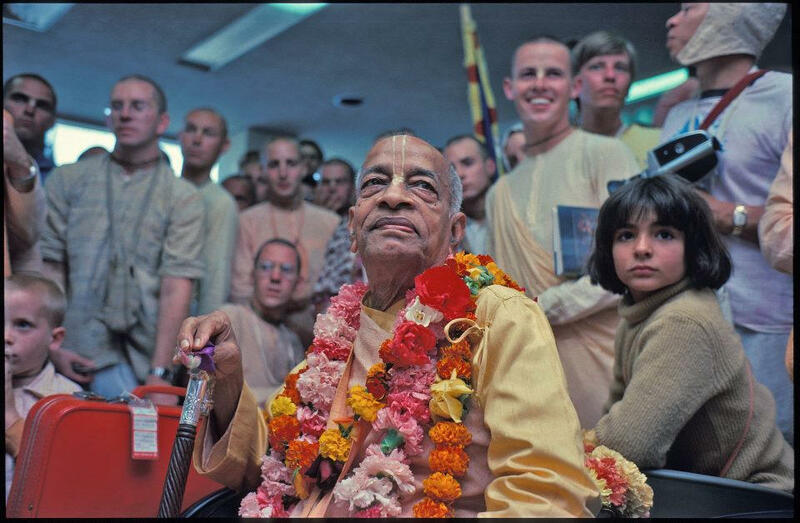 These are some last minute thoughts in continuing the first edition of Srila Prabhupada, His Movement and You.